BT35 0JH	 This is the Homepage of the Creggan History Society. The area covered by the Society is the ancient Barony of the Fews, in Co Armagh. 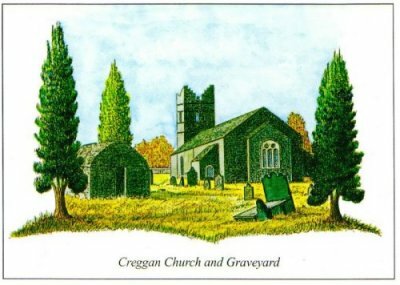 In the fragrant clay of Creggan let my weary heart have rest"
Copyright © 2001 Creggan Local History Society: All rights reserved. No part of the content of this website may be reproduced in any form without the prior written consent of the Society.